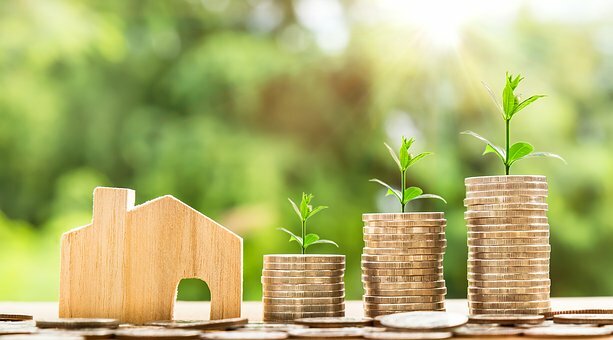 When it comes to getting a loan, there are a number of loan programs available, so you need a really good mortgage broker to help you find the best one for you. Often first-time home buyers go on the internet and find what looks like the best interest rate and plan to get their loan online. Don’t do that! I’ll tell you why…. Buying your first home can be a pretty overwhelming process and you need to be working with someone you trust and can talk to face-to-face. Ask friends and family members in addition to your real estate agent for recommendations. Interview two or three people and choose the one you like the best. You’re the customer, and they don’t get paid if you don’t buy the house, so they’re working for you. You want someone who feels like a partner in this process. The first part of getting a loan is filling out the application. You can often do this part on-line. You will then be asked to come in for an interview and bring in documentation. Plan on submitting the following in addition to proof of your id and social security number. • If self-employed, you will probably need Profit and Loss Statements in addition to tax returns. If you hope to borrow some of your down payment or closing costs, some loans will not work for you. Gift funds may be allowed but be prepared to show proof of check and deposit from recipient and recipient may be asked to submit bank statements showing they had the funds to give you. When comparing loans, look at the APR for each loan to see which one is really the better deal. The APR includes the annual interest rate plus all the costs of the loan. Often the loan with the lowest interest rate isn’t the cheapest loan. Compare “apples to apples” by looking at the APR. By law, a lender is required to give you a Truth in Lending Disclosure, which will show the APR. Ask the loan broker to give you a list of all your costs that you will be expected to come up with at closing. Your down payment is your biggest expense but you will also have pre-paid interest, loan fees, homeowners insurance, property taxes, possibly HOA fees, title insurance, ½ of escrow and recording fees. You may be surprised by how much these additional costs will add up to. It’s best to be prepared ahead of time so you aren’t unpleasantly surprised a week before closing. I know you’re excited about your house and want to start buying new furnishings and fun things to put into it. Hold off….don’t buy anything new until you’ve closed on your loan. The lender’s underwriters will be checking your bank accounts and credit report right up to the last minute. You want to show as much money in your accounts as possible and the least amount of money on charge cards or other loans. Stay patient as they ask you for more and more documentation. It will seem never-ending but the underwriters have to be very careful that they don’t make a mistake and approve a loan to someone who can’t pay it back. The nice person who took your loan application isn’t the decision-maker but hopefully they can “go to bat” for you if you need some support. Two things have to work together for you to get your loan….you have to qualify and the house has to qualify. The appraisal is how the lender determines if the home qualifies for the loan and different loans have various requirements. An FHA or VA loan will have much stricter criteria than conventional financing and will be looking at health and safety issues in addition to determining a value for the house. If the appraiser makes the appraisal contingent on work orders being completed prior to closing, or determines the value is less than sales price; negotiations with the seller may need to be re-opened and this is where having a good agent is invaluable.